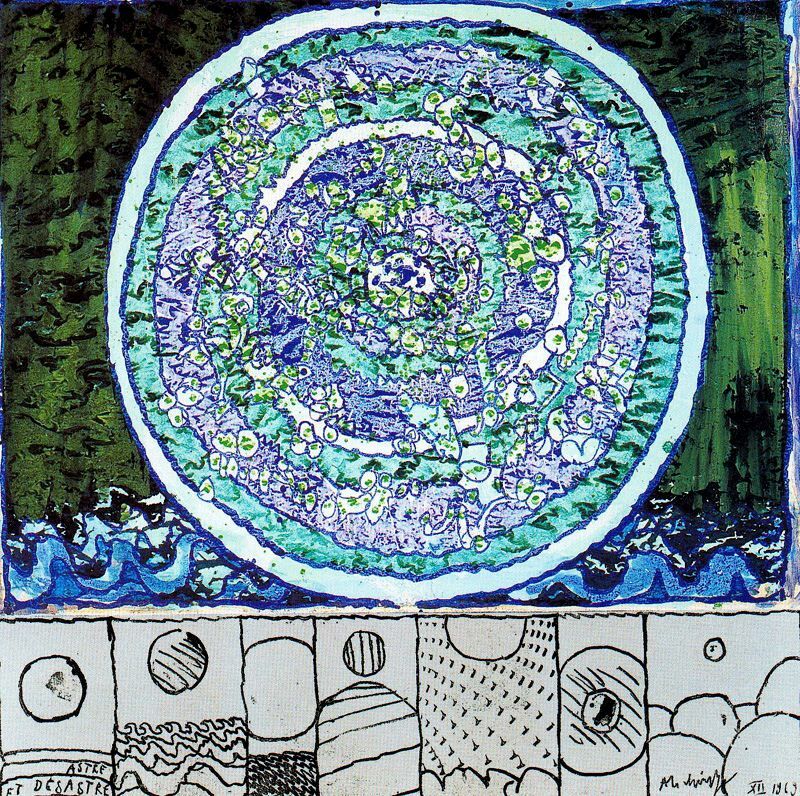 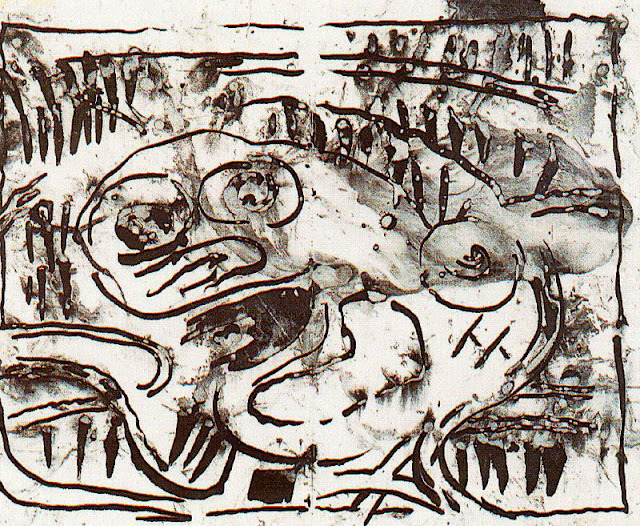 This part 1 of a 4-part post on the works of Belgian artist Pierre Alechinsky (born 1927). 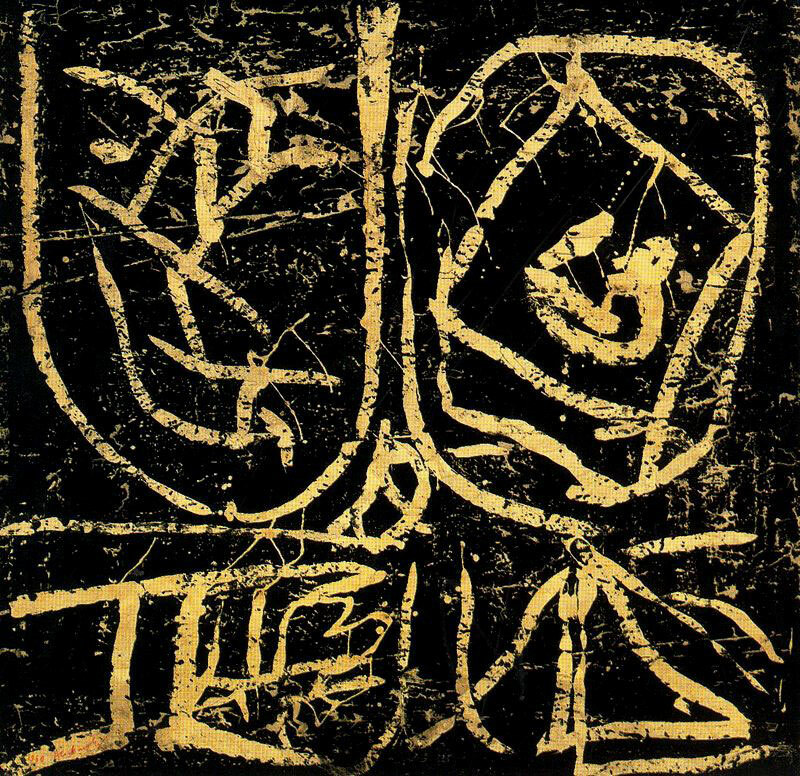 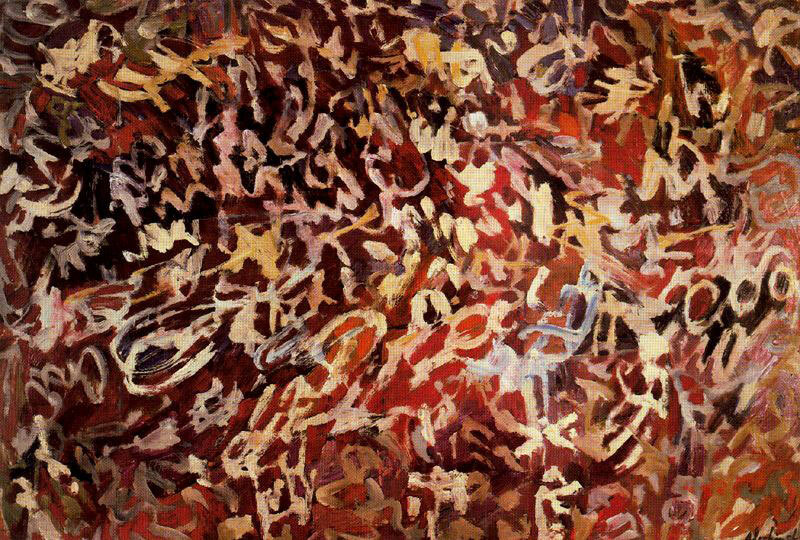 His work is related to Tachisme, Abstract Expressionism, and Lyrical Abstraction. Alechinsky has lived and worked in France since 1951. 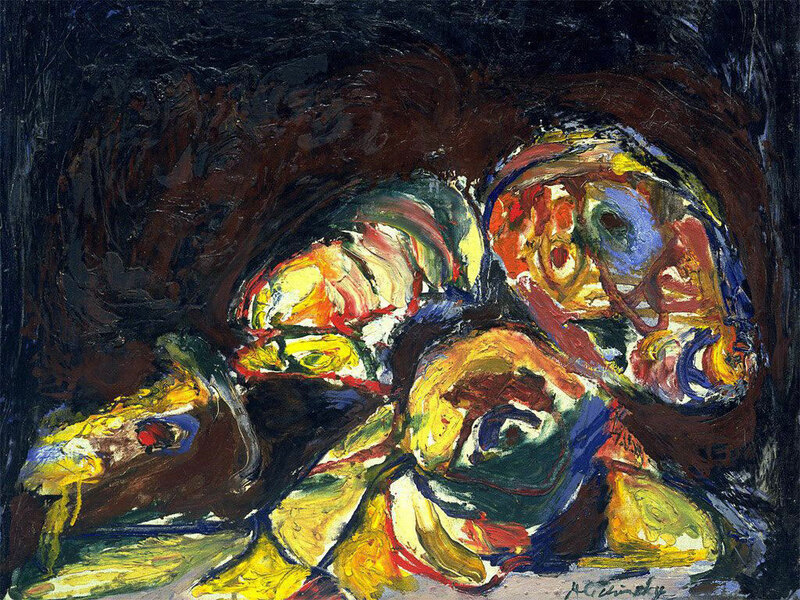 Pierre Alechinsky was born in 1927 in Brussels. 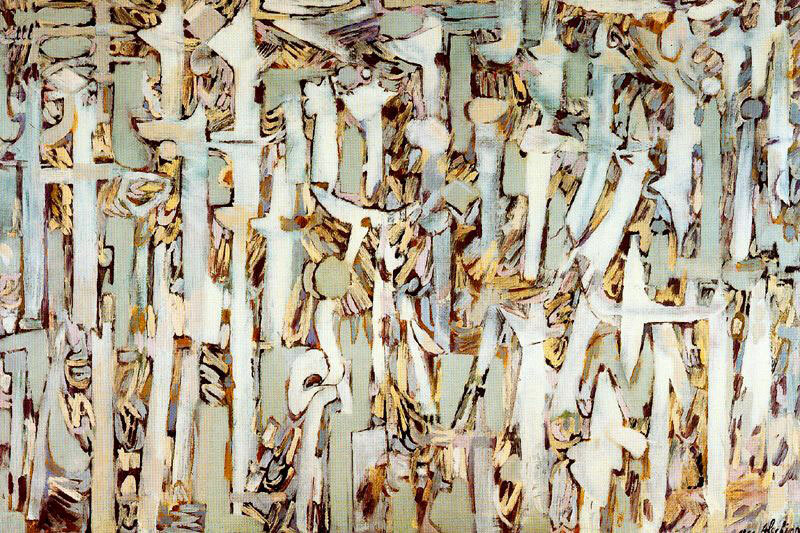 From an early age he was interested in graphic arts and in 1944 he entered the Ecole Nationale Supérieure d’Architecture et des Arts Décoratifs in Brussels, where he studied book illustration and typography. He also painted in a post-Cubist style and later in a manner reminiscent of Ensor. 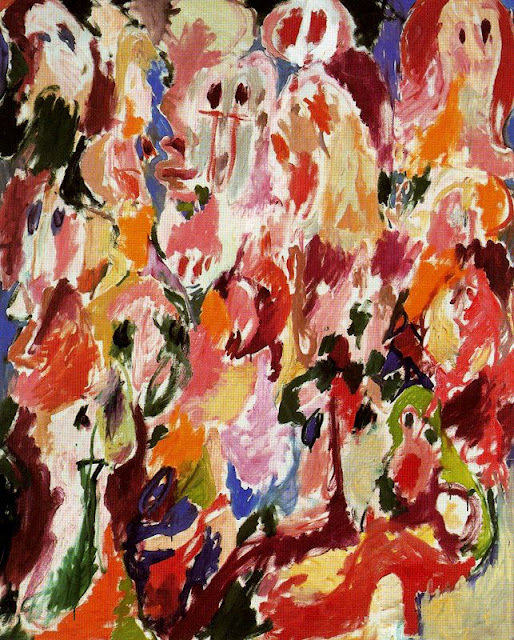 His paintings of monstrous women were shown in his first one-man exhibition at the Galerie Lou Cosyn in Brussels in 1947. 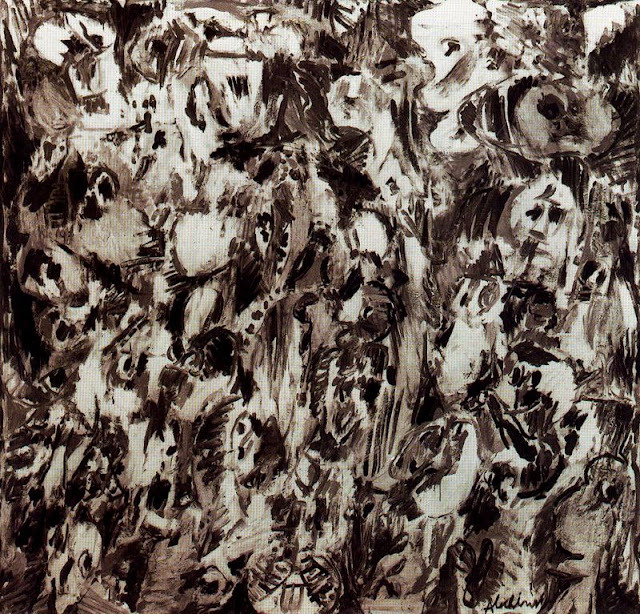 That same year he became a member of the group Jeune Peinture Belge. 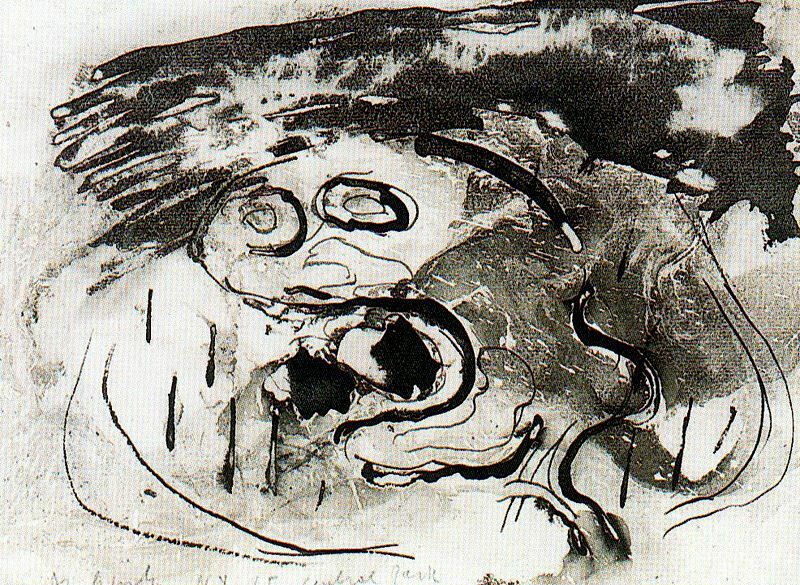 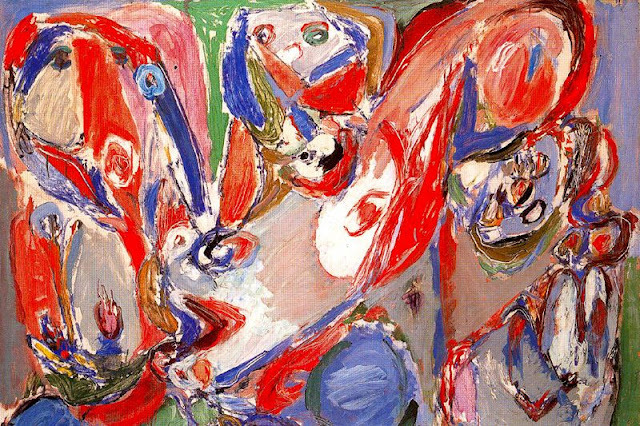 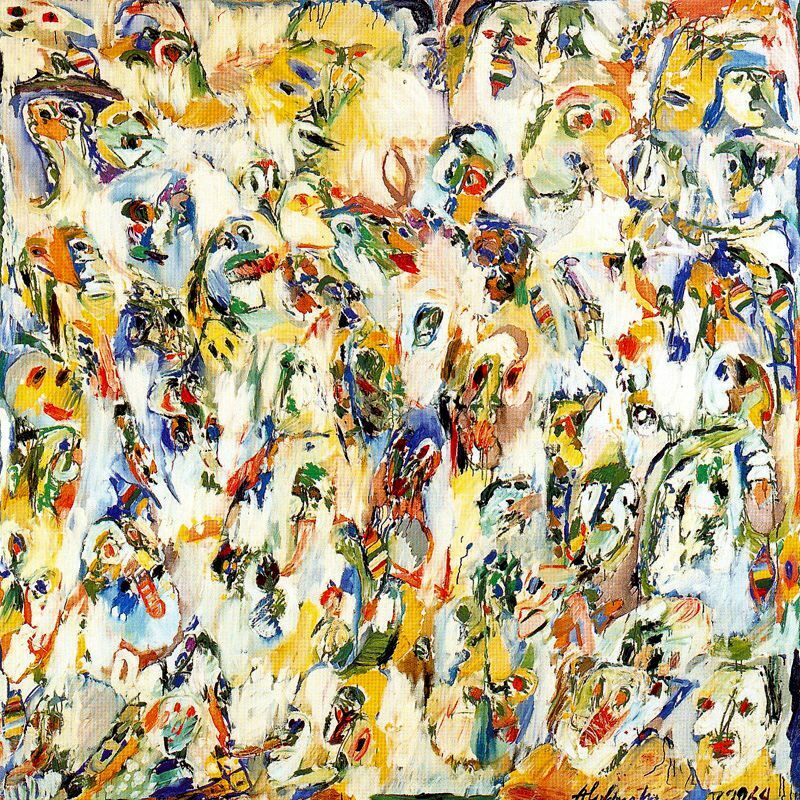 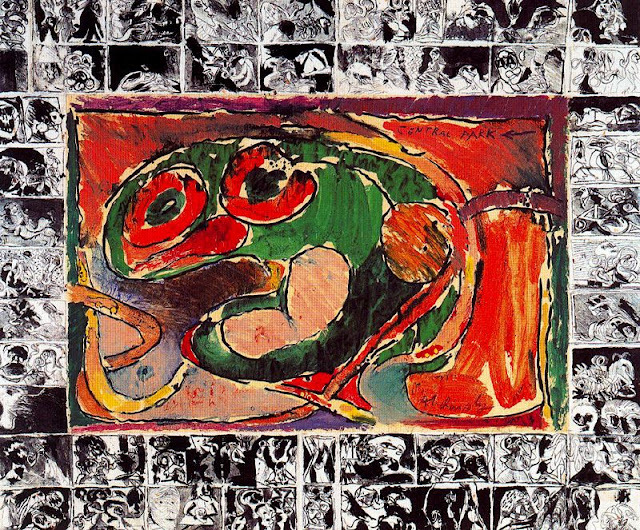 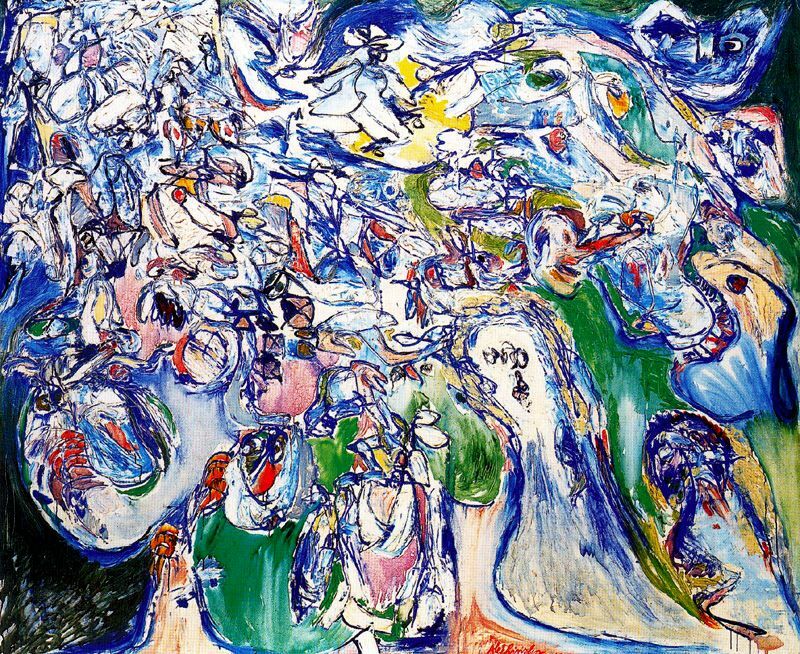 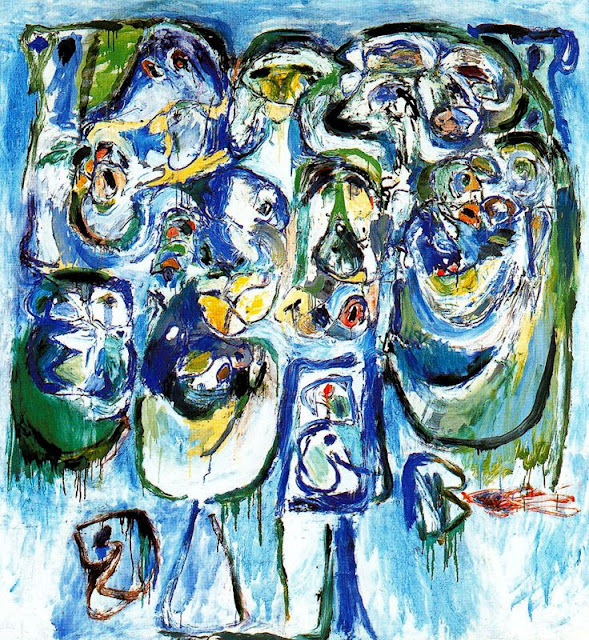 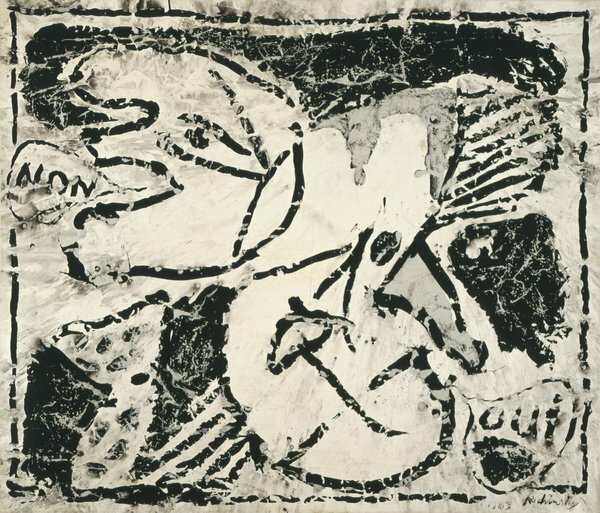 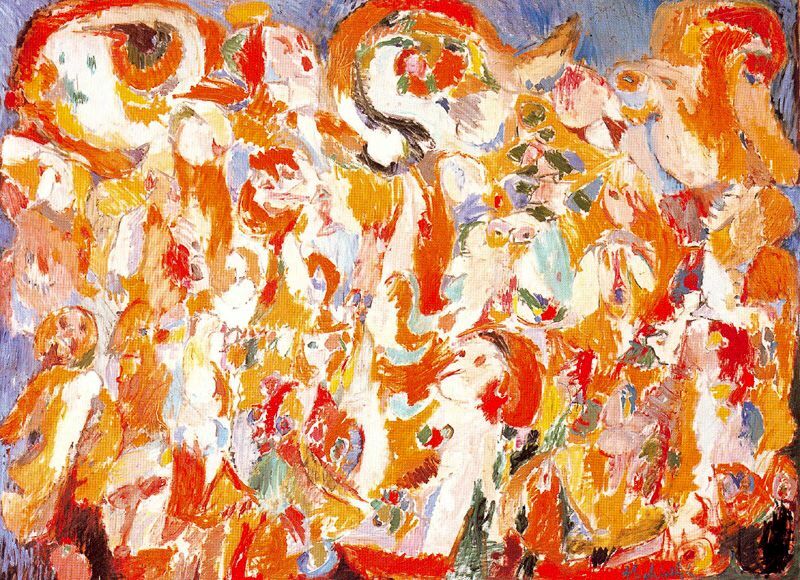 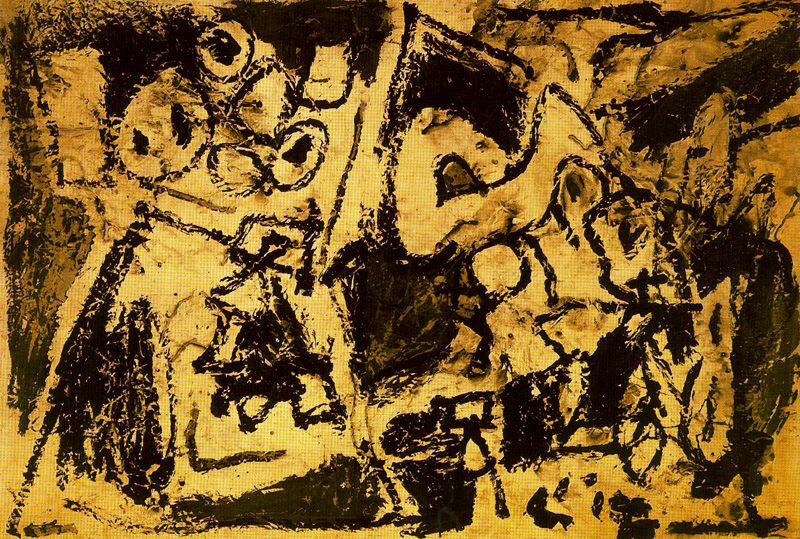 In 1948 expressionist artists including Appel, Jorn, Constant, Carl-Henning Pedersen and Corneille formed the CoBrA group. 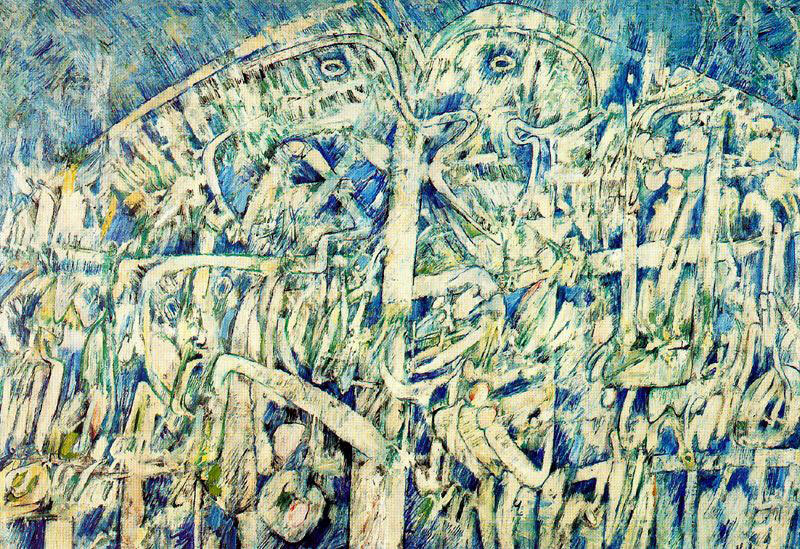 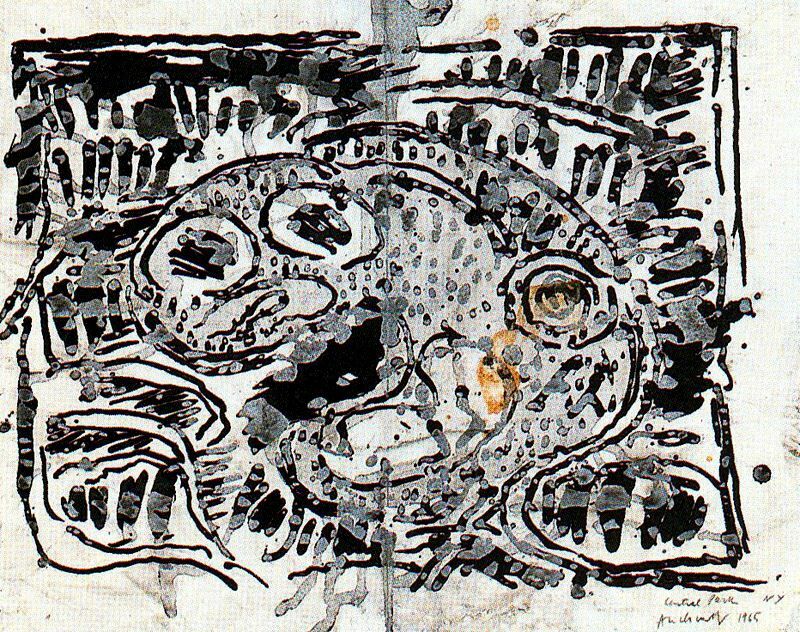 Alechinsky joined CoBrA in 1949 and participated in the first Internationale tentoonstelling experimentele kunst-CoBrA that year at the Stedelijk Museum in Amsterdam. He became a central figure in the group and organised its second international exhibition in Liège, Belgium, in 1951. Shortly thereafter CoBrA disbanded. Alechinsky moved to Paris in 1951 to study printmaking under a grant from the French government. He studied engraving with Hayter at the Atelier 17 in 1952. 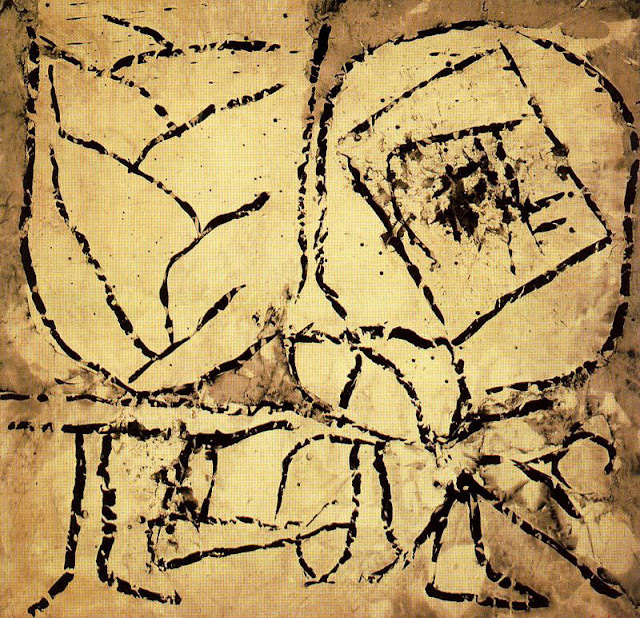 At about the same time he became fascinated by the Japanese calligraphy and in 1955 he went to Tokyo and Kyoto. 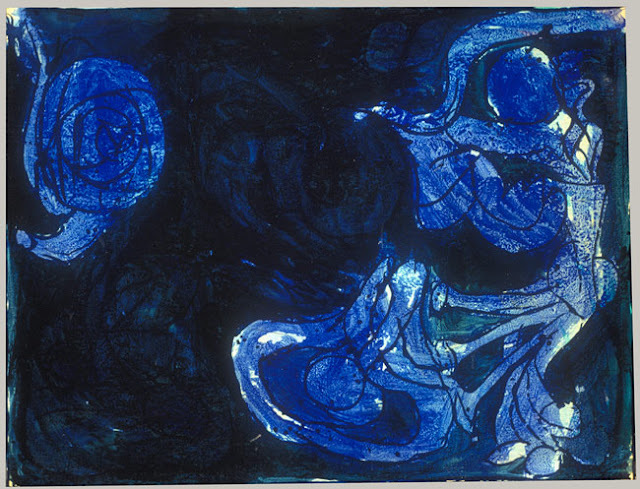 There he visited masters of the art and produced the award winning film Calligraphie japonaise. 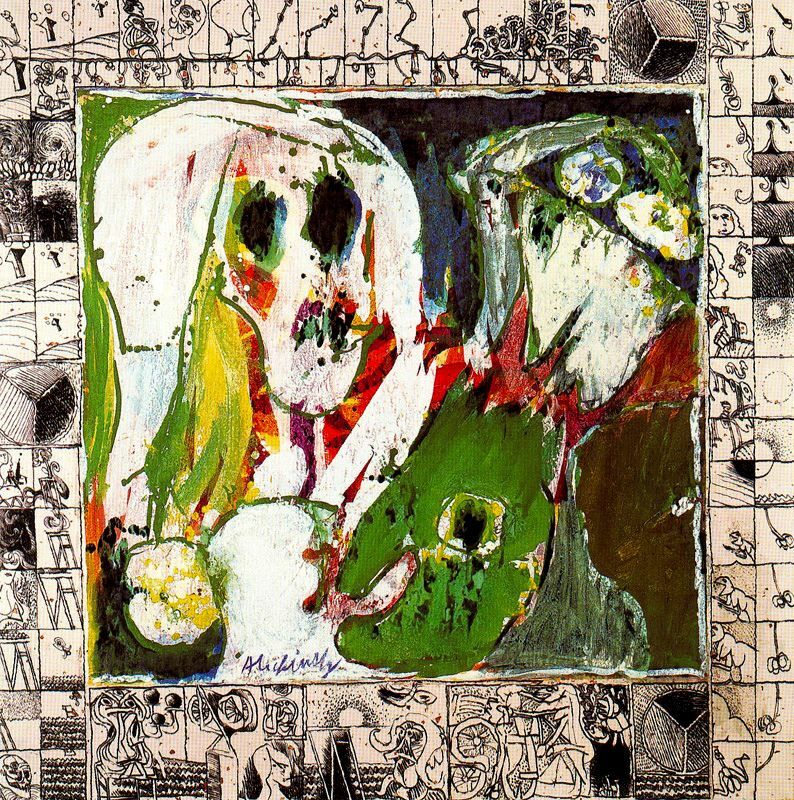 In the 1960s Alechinsky travelled extensively in Europe, the United States and Mexico and participated in numerous international exhibitions. 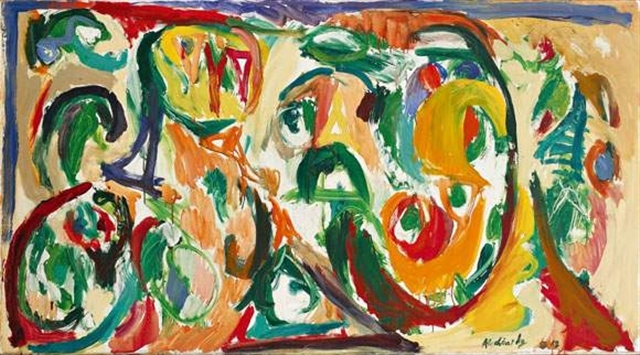 An Alechinsky retrospective organized by The Arts Club of Chicago toured the United States in 1965. In 1976 he became the first recipient of the prestigious Andrew W. Mellon Prize for artists. 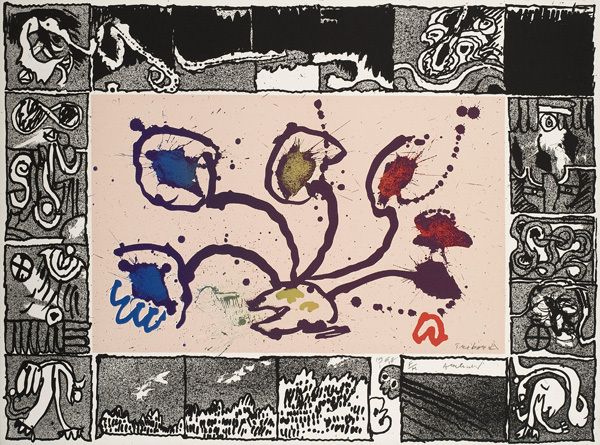 The prize was accompanied by a major retrospective of his work in all media at the Museum of Art, Carnegie Institute, Pittsburgh, in 1977. 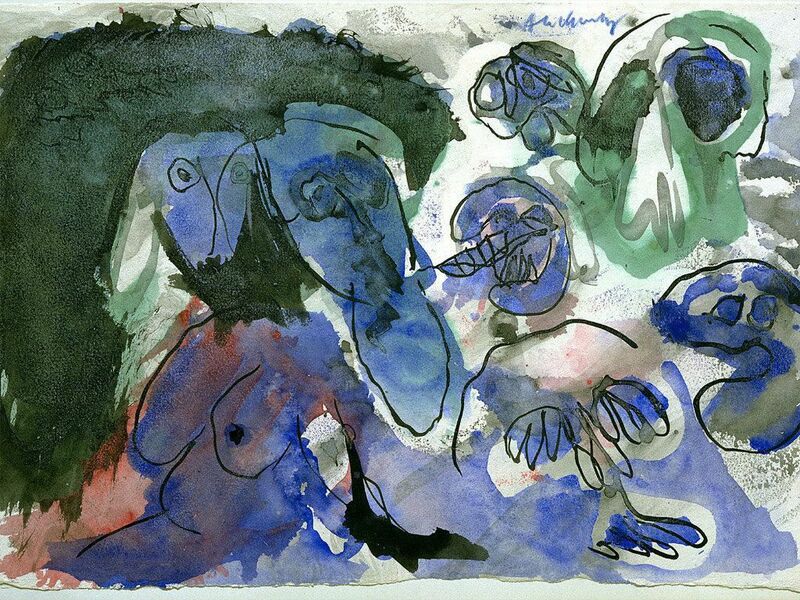 The artist continues to paint and to make prints and book illustrations at his home in Bourgival, France. 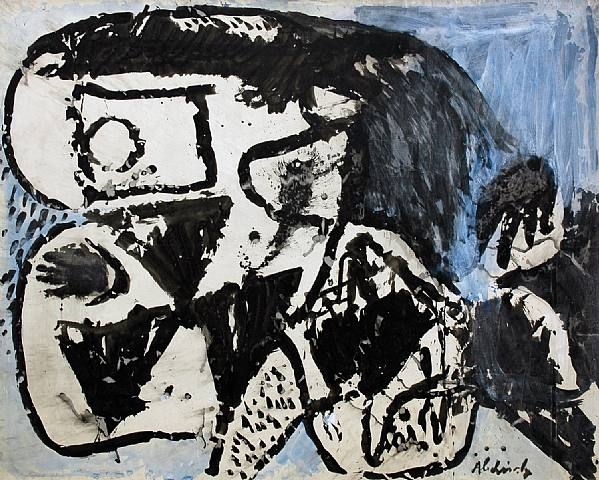 Parts 1-3 will show a broad spectrum of Alechinsky’s work in chronological order. 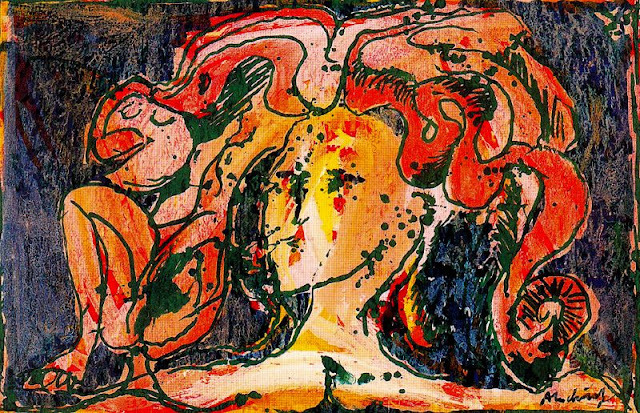 Part 4 looks at some print editions.